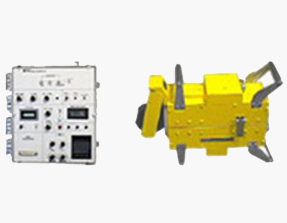 Radiography (RT), Ultrasonic testing (UT), controlled by a magnetic filings (MT) etc. 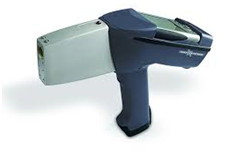 For positive material identification we have a TN Technologies– Metallurgist Pro instrument capable of detecting 21 base elements (Ti, V, Cr, Mn, Fe, Co, Ni, Cu, Z, N, Mo, Ag, Sn, Hf, Ta, W, Au, Pb & Bi). The instrument can check the results of the analysis against its library of elements and alloys and display the most possible result (American Coding). We have instrument MFL2000. Motor instrument scanning tank floor for detection of corrosion, range about 8000ft2. Instrument RMS2-600. 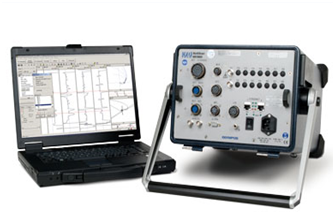 High speed and precision ultrasonic system for remote access mapping of corrosion. Use in steel structures such as storage tanks, piping, pressure vessels etc. 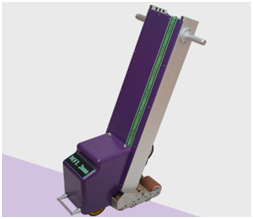 Instrument MD 120 NDT TECH. Using magnetic fields, and detecting the magnetic flux leakage, the condition of the wire rope is recorded in a strip chart. The instrument can detect both Loss of Metallic Area (LMA) and Localized Flaws (LF). Instrument TC 5700 RD TECH. Using combined magnetic fields, the corrosion or deterioration of tubes in equipment is recorded (Heat exchangers, boilers etc.). 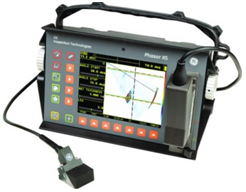 We have Phasor XS instrument and accredited staff for this test. 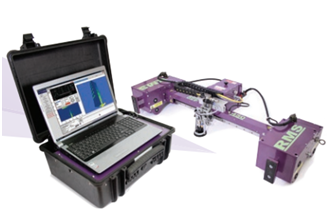 Phased Array is an advanced method of non-destructive testing for fault detection, corrosion and measuring thicknesses. Its efficiency and shorter time testing are due to the possibility of management parameters such as beam angle and focal length. The information and training received from your partners was highly qualified and was considered completely successful. The students showed great interest and enthusiasm thanks to your well-organized preparation and thorough presentation and analysis of various mechanical testing and non-destructive technics. Throughout the duration of the project, this company has shown remarkable professionalism and quality in all of the works which has completed within the strict timelines were set. I congratulate you for the excellent cooperation that there was with your company and your inspectors as is done in recent years. Department of Technical Inspection HEL.PE. V.E.E.